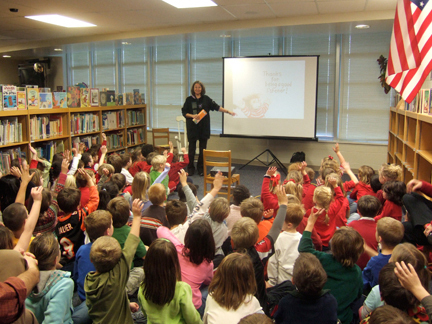 A visit from a real live author-illustrator can make books come alive for your students! their own stories. The visit also helps me to keep in touch with my readers. I can learn as much from them as they do from me! I start by reading one of my (or one of your) favorite Gilbert books, while projecting the art on the screen. It's followed by a short program about Gilbert and a visual tour of my work space. If time allows, the students can help me write a Gilbert story. Schools: $1500 per day, for a maximum of four sessions. This can be at one school or shared with another nearby school for a half day in each. As much as I would like to, I can't sign anything other than books. (It would be unfair to those students not getting an autograph.) 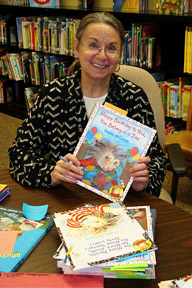 If desired, you can print out a bookmark with my signature on it to give to each child, either before or after my visit. I can sign books between sessions or after school. Have a slip of paper or a post-it note on the first page of EVERY book with the name of the person to whom it should be inscribed. Please do not ask me to personally interpret your book order forms, as this leaves room for errors. (And after four sessions, my brain might be mush!) I know this is an extra step for the coordinator, but it seems to be the most efficient method. The more the students are familiar with my books, the more they'll appreciate and benefit from my visit. 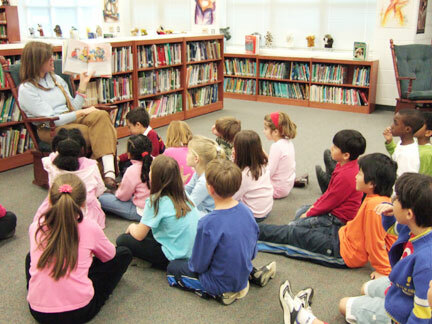 Have books available for the librarian or teachers to be read to the students at least 6 weeks in advance. You may find the Common Core Guides for my books helpful as well. Discuss appropriate questions that students might want to ask. And do the kindergarteners know what a question is? Send out Book Order Forms to the parents, leaving plenty of time to have the books delivered to the school. And finally- Read the program descriptions carefully, and group the students accordingly. Have the room set up with a screen and a cart or table for my laptop and projector. Shades should be drawn. 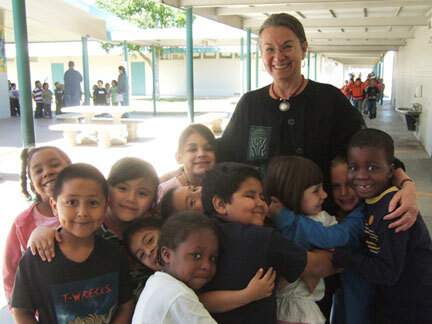 with the students ----- authors are not used to the chaos as much as teachers are! Show me where the grown-up restroom is. 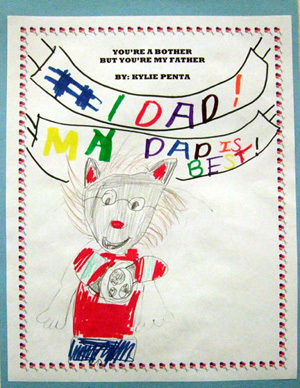 in Topeka Kansas had each grade level do a project for my author visit. 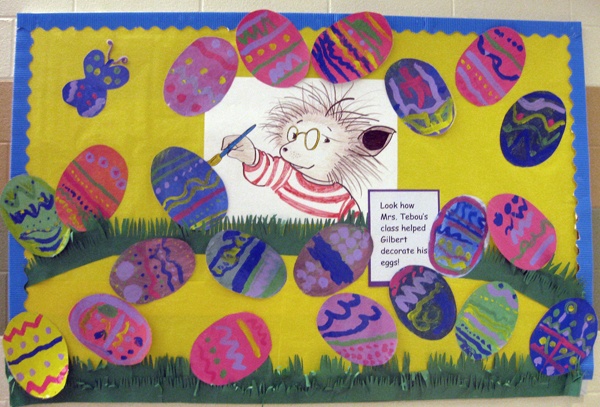 Kindergarteners decorated eggs found on the Fun Stuff page under Easter activities. 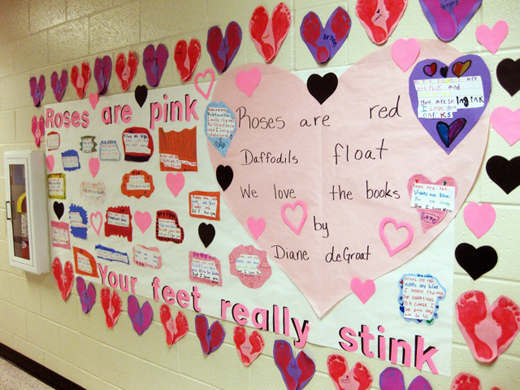 Grade 1 made Valentine poems as per Roses are Pink, Your Feet Really Stink. 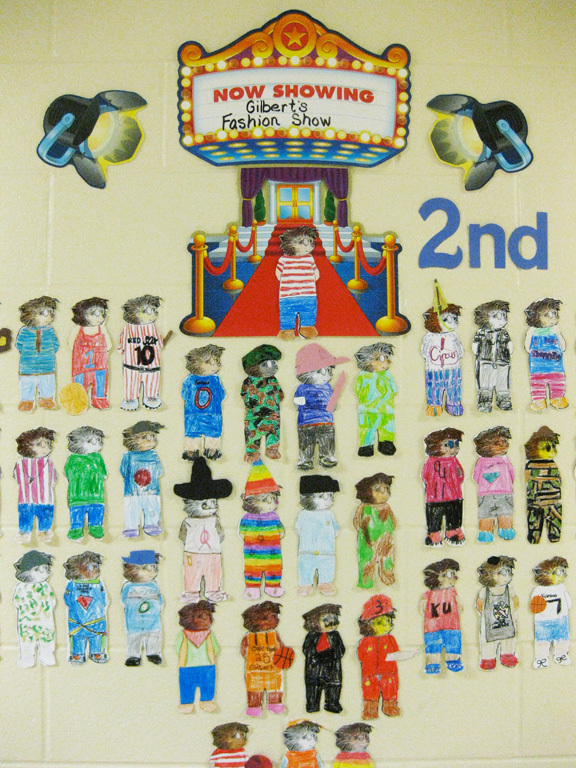 Grade 2 downloaded the Gilbert paper doll from the website and made their own fashion show. 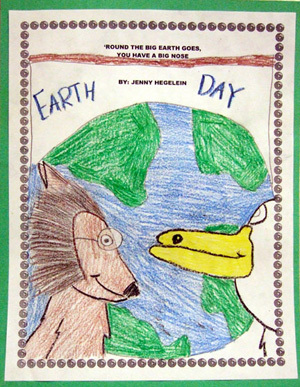 Grade 3 made their own Earth Day posters, like Gilbert's class did in Ants in Your Pants, Worms in you Pants (Gilbert Goes Green). 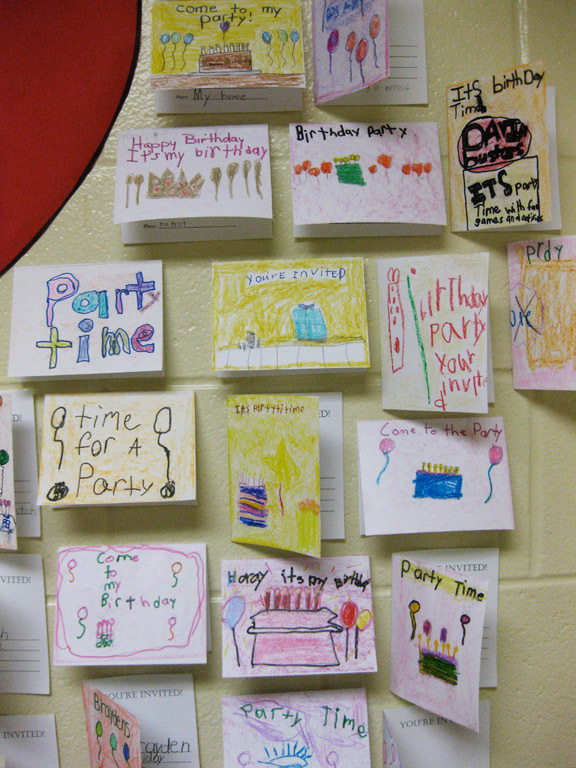 Grade 4 made up party invitations, as per the book Happy Birthday to you, You Belong in a Zoo. 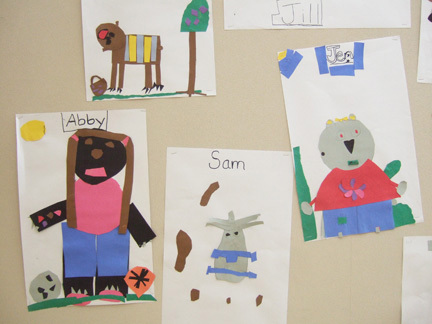 Fifth graders cut out photographs from discarded dog magazines and gave them human attributes, as per the book Dogs Don't Brush Their Teeth! 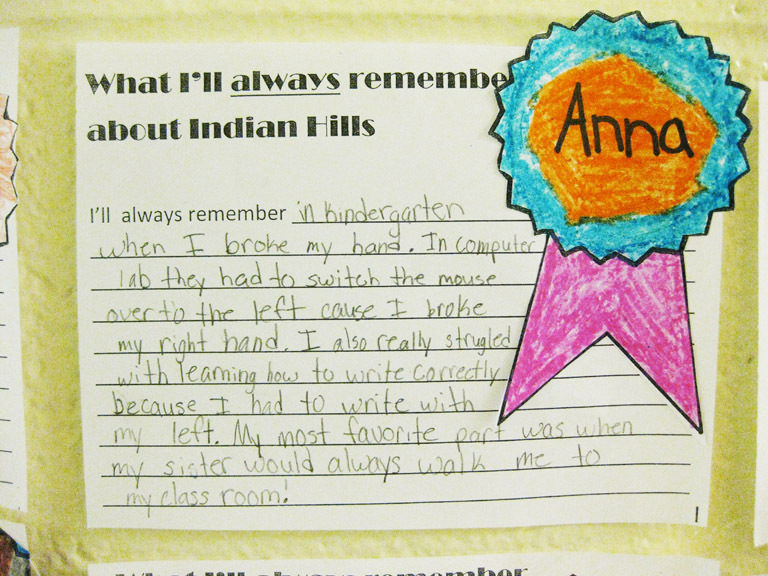 6th graders used the award design from the Last Day of School activities to write about their elementary school highlights. 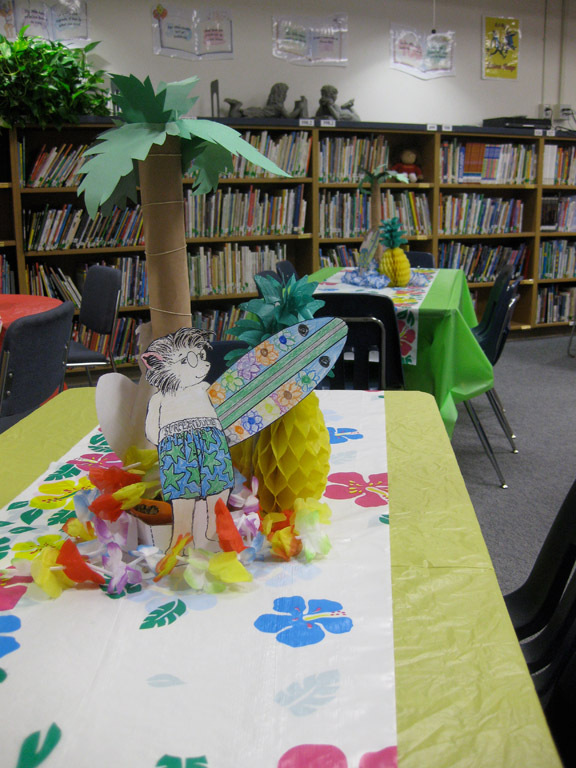 Wanamaker Elementary School in Topeka Kansas did a school-wide luau theme to celebrate Gilbert the Surfer Dude. 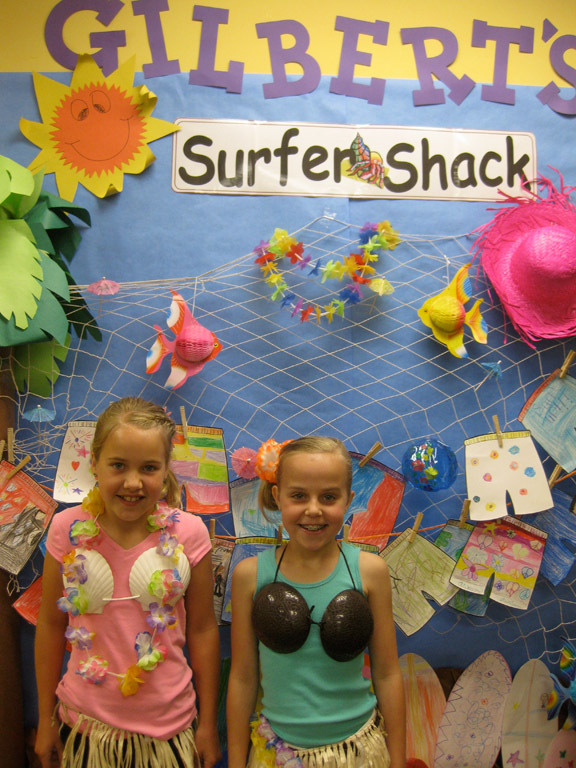 Kids wore Hawaiian shirts and grass skirts. 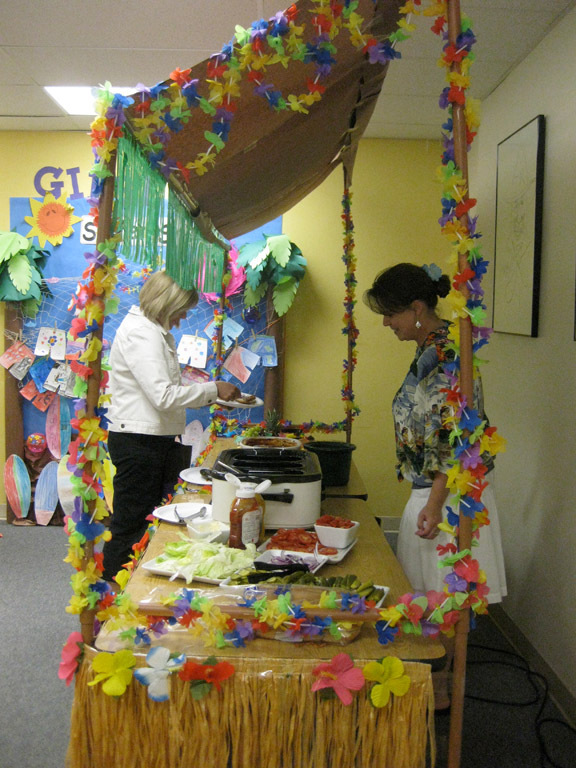 The library was decorated as Gilbert's Surfer Shack, and the lunch was island-themed pot-luck. 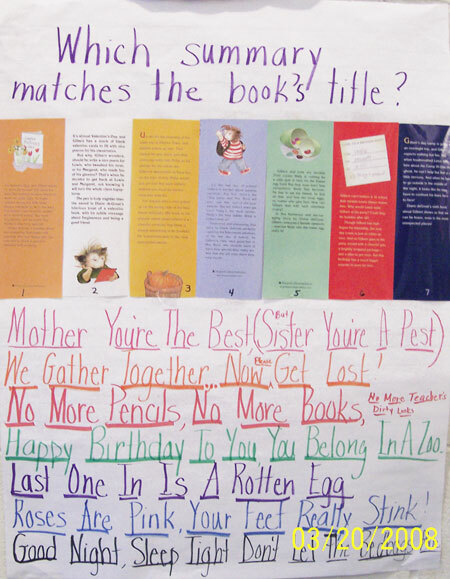 Media specialist Danielle Galligan at the Hopewell School in Glastonbury, CT came up with these ideas to use prior to the author's visit: After reading a few of Diane deGroat's books, have students make a list of questions they have about her or her books on chart paper. Visit the FAQ's section to see if you can find the answers. Save the ones you can't find for her visit. Brand New Pencils, Brand New Books: Write about your first day of school or make a class list of what you can do to make the first day for a new student a great day. 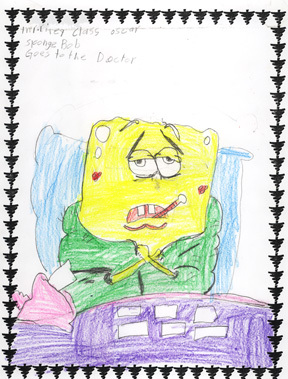 Good Night, Sleep Tight, Don't Let the Bed Bugs Bite: Have students write or draw pictures on a suitcase of what they would bring on a sleepover or camping trip. Happy Birthday to You, You Belong in a Zoo: Have students write an invitation to a friend to play at recess that maybe they haven't invited before. Any book: List all the characters in the book and what type of animals they are. 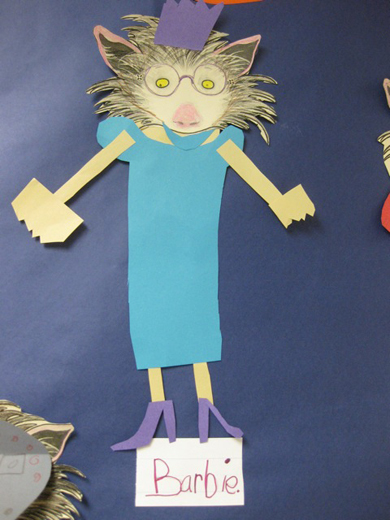 Have students come up with ideas for new characters, what type of animal they should be, and why. 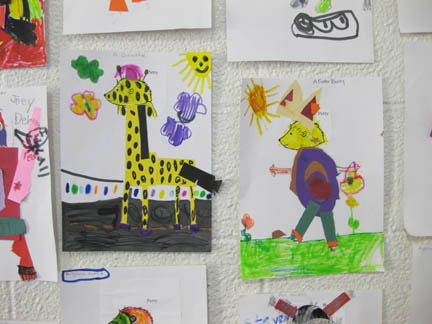 Students could then make the animals for display. Ms. Galligan includes these suggested activities in a packet for each teacher whose class will attend the author's presentation. She also adds the author's website information, mentioning areas of interest such as downloads for activities and bookmarks. Choose any Gilbert book that the students have not yet read, and extract key sentences from the story. Type them all onto one page, leaving space between the sentences. 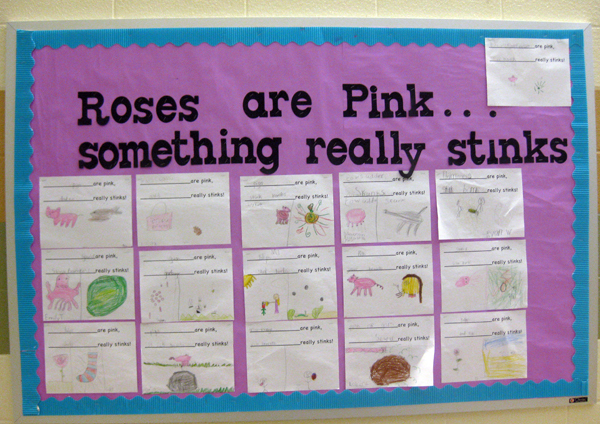 Make enough copies for each student, then cut the individual sentences into strips. Give each student a packet of the strips and ask them to predict the sequence of events by placing them in order on a sheet of paper. Read the story to the students. As they recognize the events, have them place the sentences in the correct order. After the class has found all the excerpts in the story, have them glue the correct sequence onto the paper. "What is the conflict and the solution in the story?" "What kind of person is Gilbert?" 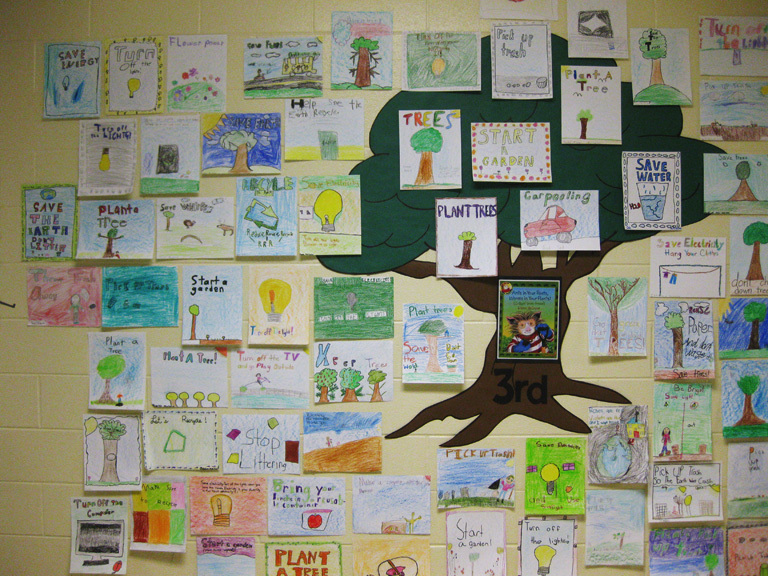 Show the students a list of character traits and ask them to pick three that apply to Gilbert. "If you were a movie director, how would you show the book's setting in your film?" The students have to figure out a setting and list props they would use. "What do you think the author wants you to learn from this story?" From Beaver Creek Elementary school in Johnston, Iowa - a lesson for Trick or Treat Smell My Feet: Discuss briefly if anyone has ever had an embarrassing moment. Have students share what happened and how others reacted. Discuss the different story elements, stressing what Gilbert's problem was. Talk about how he was able to solve it and discuss the life lesson - we are all unique. 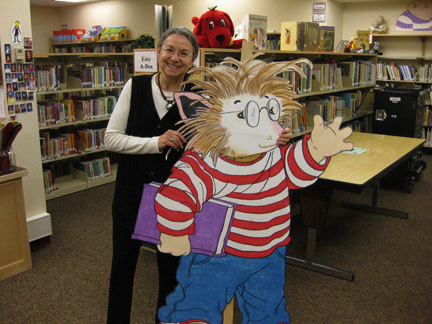 Give students a choice of various characters from the Gilbert series. Have them cut out the head of the character from Ms. deGroat's website print-out Coloring Page 2, and then RIP (NO SCISSORS) a unique costume for the character. Display proudly! 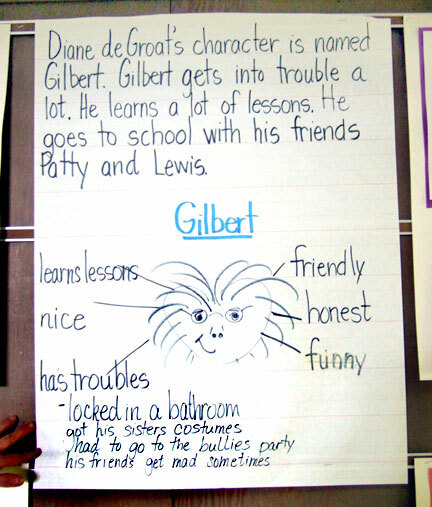 Beaver Creek also studied character traits by making up a new classmate for Gilbert. Students had to answer: What is the new classmate's name? Is the new friend a boy or a girl? What kind of animal is it? What is the new friend like? 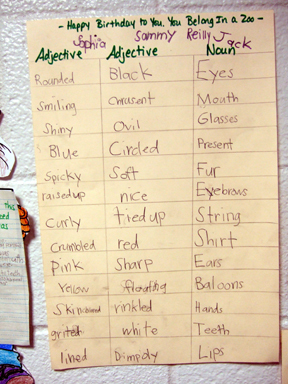 made an adjective and noun chart for each Gilbert title by studying the illustrations. made three corner hats after reading Liar, Liar, Pants on Fire. guess which title goes with which flap summary of the story. voted on what kind of animal they thought Gilbert was. Then they put their votes on a graph. 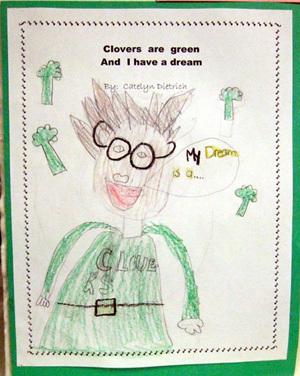 made cover designs for Gilbert books they would like to see: Earth Day, Father's Day, and St. Patrick's Day. and what the students normally do on that special day compared to what Gilbert did in the story. the picture into the class." Here are some samples. 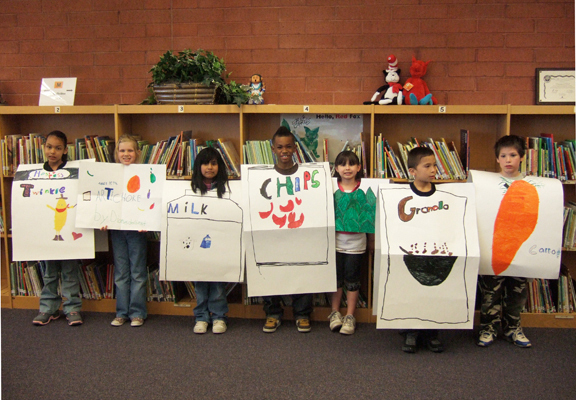 Second graders at Orangewood School in Phoenix AZ wrote a skit after reading Annie Pitts, Artichoke. 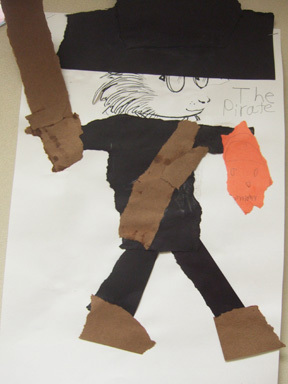 They created costumes similar to those worn by the students in the story. 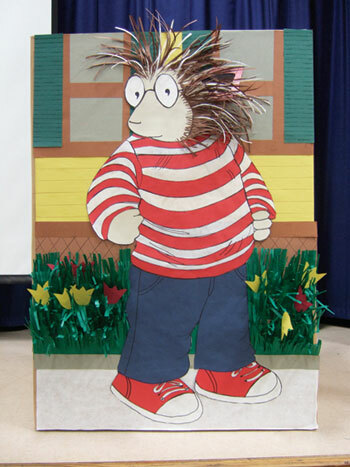 Gilbert art to stand on the stage for the author's visit! After reading Trick or treat, Smell my Feet, Lori Belair and Dana Ryan (Cayuga and A.J. 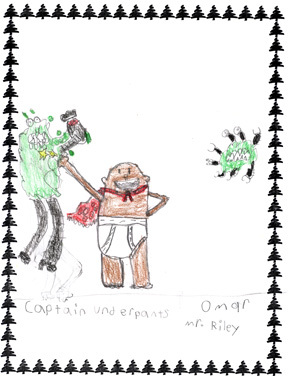 Smith, Syracuse, NY) had K-1 students design the most embarrassing costume for Patty, Lewis, Gilbert or Mrs. Byrd. 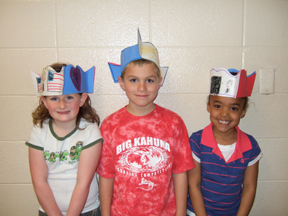 Students were given the heads only (downloaded from the website). 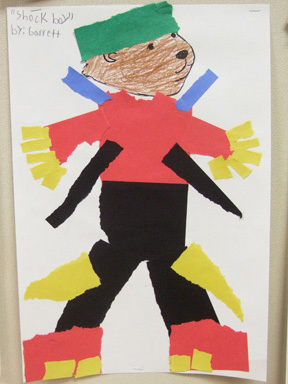 Then they tore or cut colored paper to design the costume and used markers to decorate them. The banner read, "And the Winner for Most Embarrassing Costume Goes To..." "We also had Grade 2-3 come up with a title for a book you would write in the future. 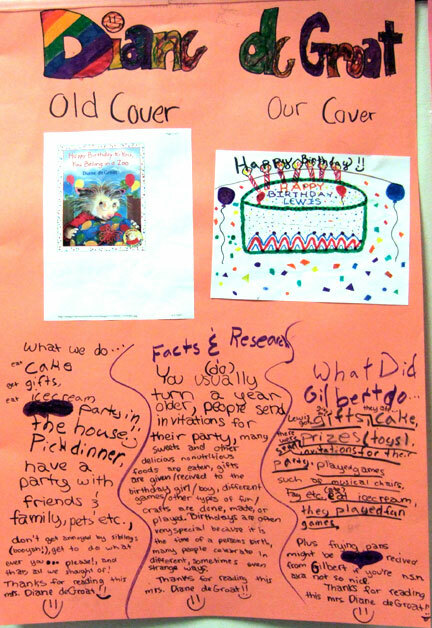 Students knew from your website that you come up with the titles first and then the story, so they were hoping one of theirs would catch your eye. The banner read, "Titles We Think Would Make Great Stories". 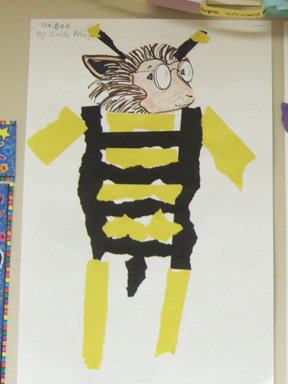 We also made a huge banner size chart which noted which animal K-3 students thought Gilbert was. 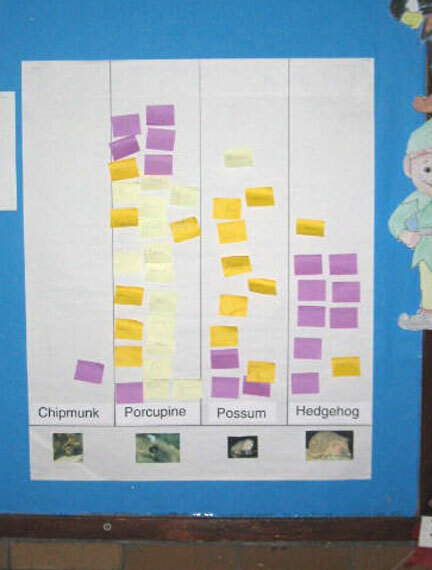 It was a close tie between hedgehog, porcupine and possum. 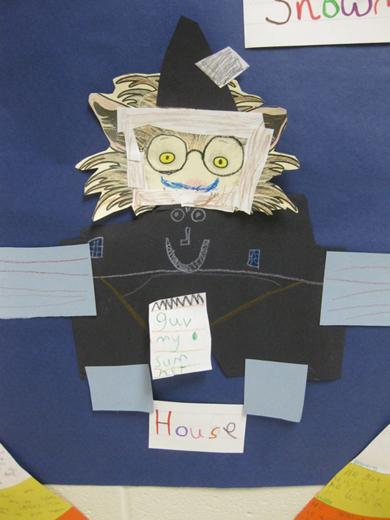 Believe it or not, a couple of students thought Gilbert might be a gorilla or a wooly mammoth! Oh no!" 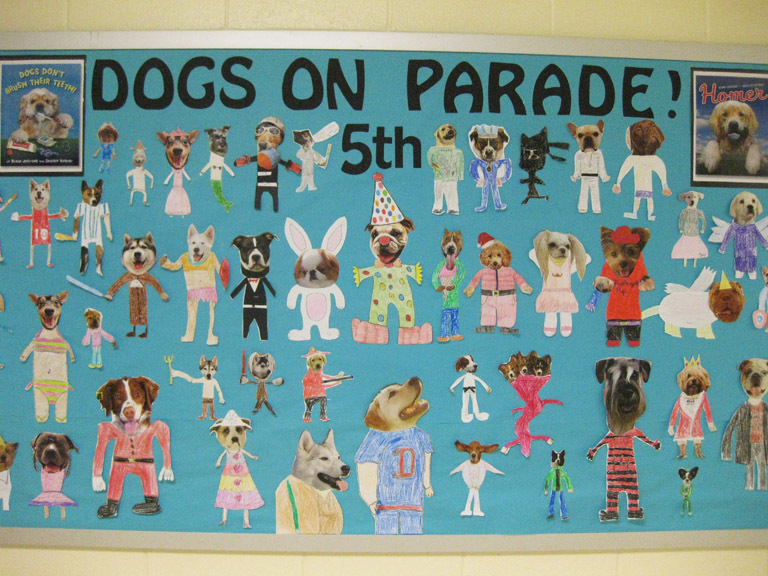 Ivy Creek Elementary School in Buford Georgia had a Diane deGroat bulletin board contest. 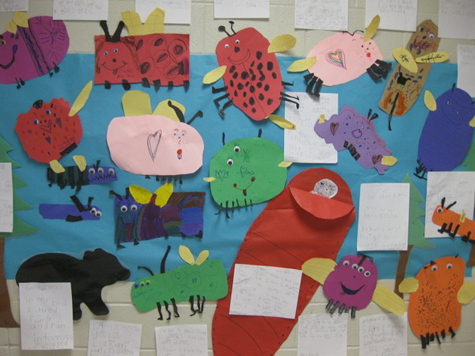 One teacher had the students design their own bed bugs after reading Good Night, Sleep Tight, Don't Let the Bed Bugs Bite! 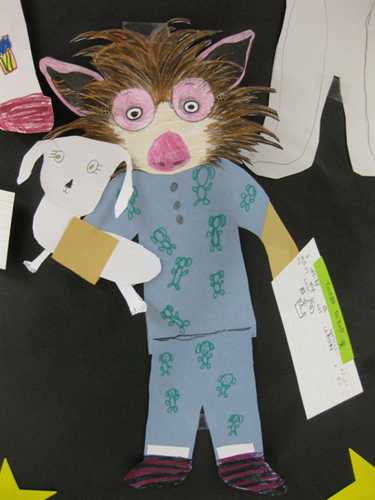 Another class designed pajamas for Gilbert! 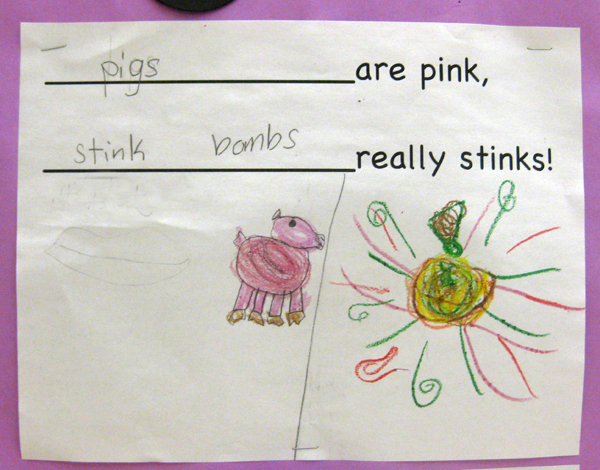 Students at Ivy Creek also made stinky feet poems. 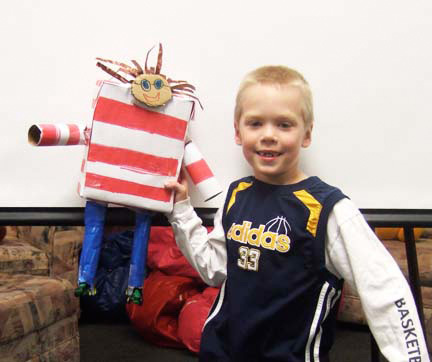 For Trick or Treat, Smell My Feet, students made their own costumes for Gilbert. One Gilbert is a Barbie doll, and another Gilbert is a house!